One of the best things about walking into a spring flower show is the fragrance. It’s enough to put a smile on the face of even the most winter weary gardener. Ever wonder about the source of that sweet perfume? You may guess tulips and daffodils, but that’s unlikely. It probably hyacinths, the most fragrant flowers of spring. 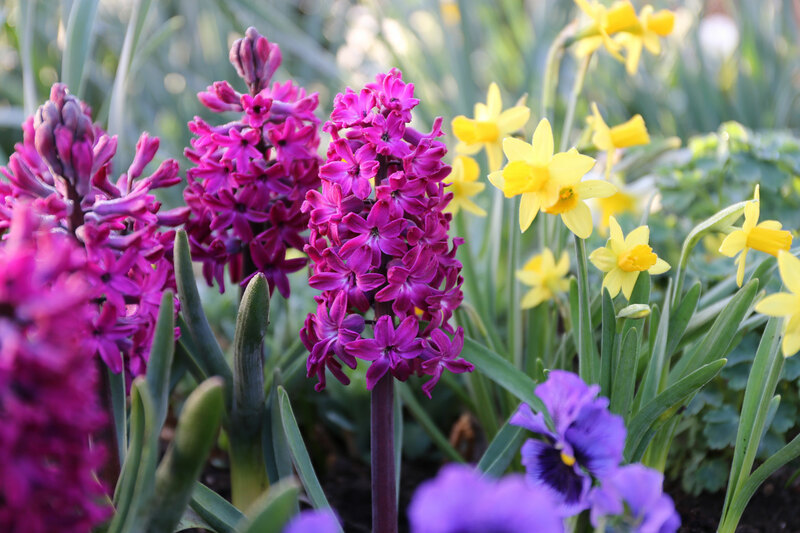 Today, hardly anyone plants hyacinths, but back in the 18th and 19th century, they were the world’s most popular spring-blooming flower bulbs. At the time, gardeners could choose from more than 2000 different cultivars. Then at some point, these sweetly-scented bulbs fell out of favor. Why did hyacinths become unfashionable and more importantly, why have they never made a comeback? Their fragrance is every bit as wonderful as that of roses, lilacs, jasmine and freesia. Yet you rarely see them on a list of fragrant garden flowers. 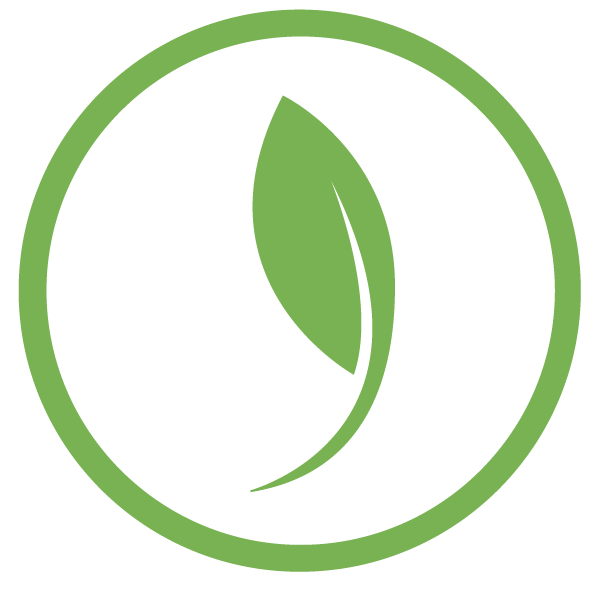 Like other fall-planted bulbs, a hyacinth bulb already contains everything that’s needed to produce a flower. All you have to do is plant the bulb and wait until spring. Keep in mind that the better the soil, the better the results. Last year I grew several different varieties in my vegetable garden and they performed beautifully. The flower heads were tall and straight with perfectly spaced florets. If you want your bulbs to bloom for more than one year, make sure to plant them in a sunny spot with very well drained soil. 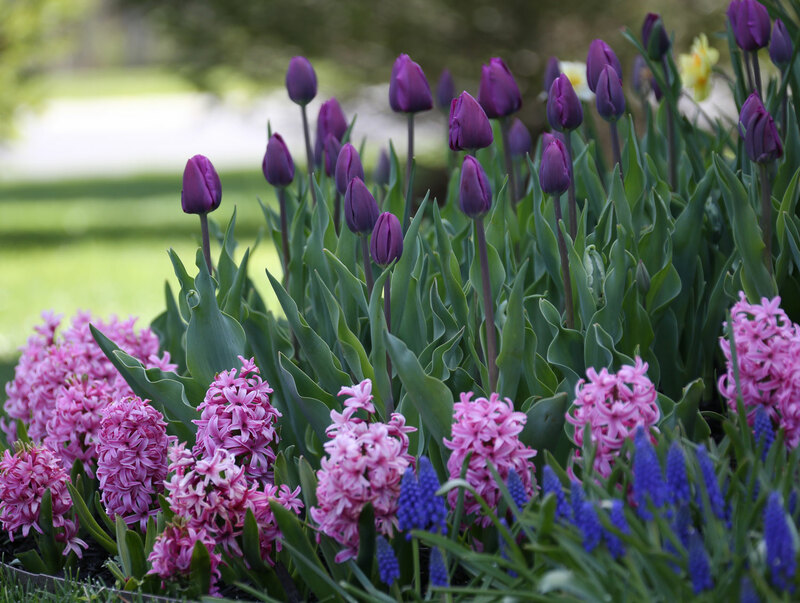 Like tulips, hyacinths need moisture in the spring. But during summer and winter, when the bulbs are dormant, the soil should be quite dry. If you garden where winters are mild (zones 8-10) you will need to chill your bulbs before planting. More information about that can be found in this article: How to Grow Spring Bulbs in Warm Climates. Here’s another thing to love about hyacinths. You don’t have to worry about deer. Like daffodils, all parts of the plant contain a substance that’s toxic to deer, voles, rabbits and other pesky critters. Back when hyacinths were in their heyday, there were hundreds of different colors to choose from. Today we have fewer choices, but every color that remains is gorgeous in its own way. It’s easy to find varieties that will complement the bulbs and other plants in your spring garden. 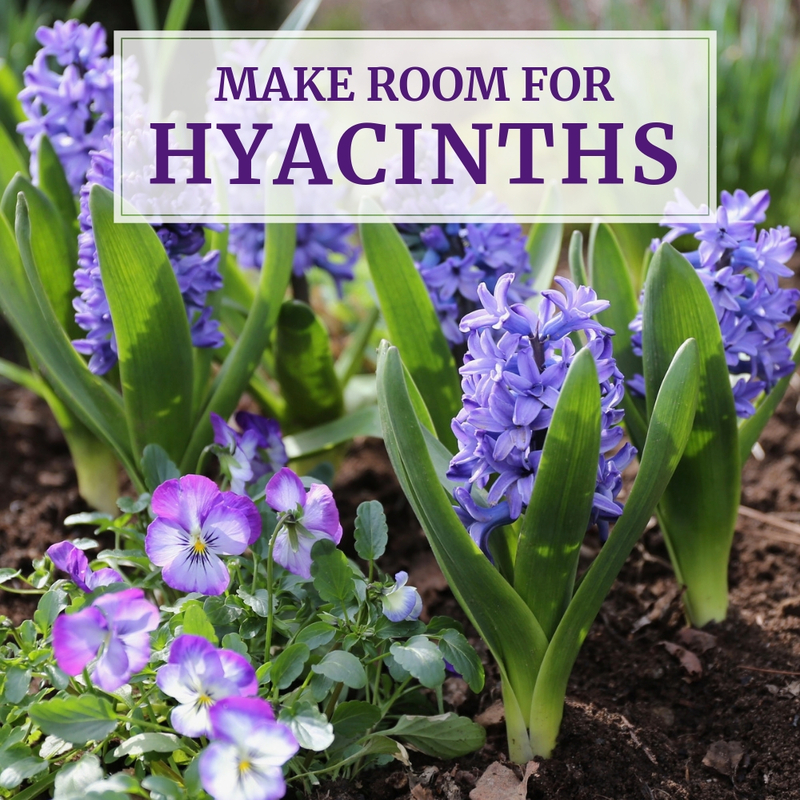 When planting hyacinths among other plants, put them in groups of at least 5 bulbs. In one of my perennial gardens, I have planted the Shades of Blue Mix, with groups of bulbs spaced about 4 feet apart along the front of the bed. The rhythm of those repeating pools of blue draws your eyes down the path and perfumes the entire area. 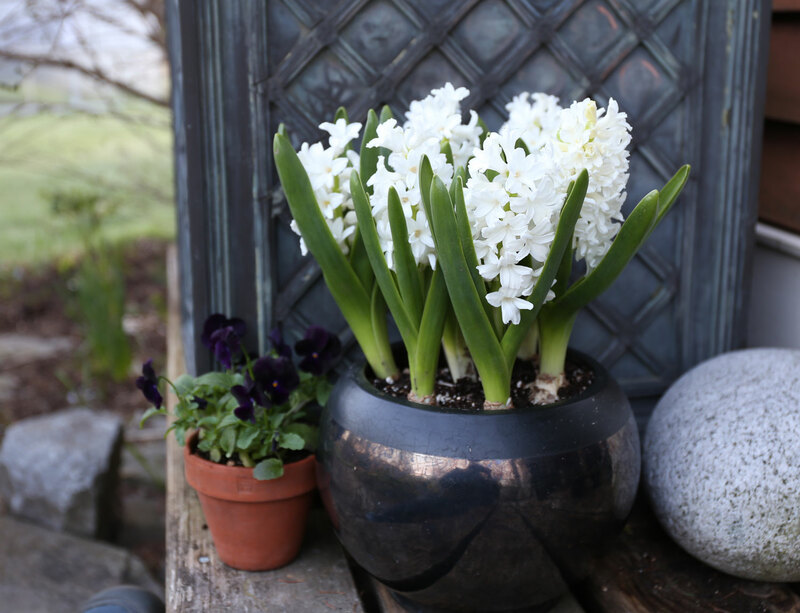 Plant hyacinths where it will be easy to enjoy their fragrance: beside a walkway or along a garden path; near the front door or bordering your patio. If you live in zone 6 or 7, you can plant the bulbs in containers and leave them outdoors for the winter. 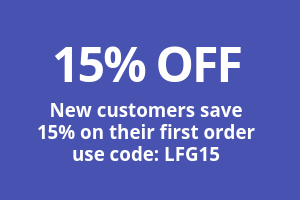 Learn more about how to do that HERE. 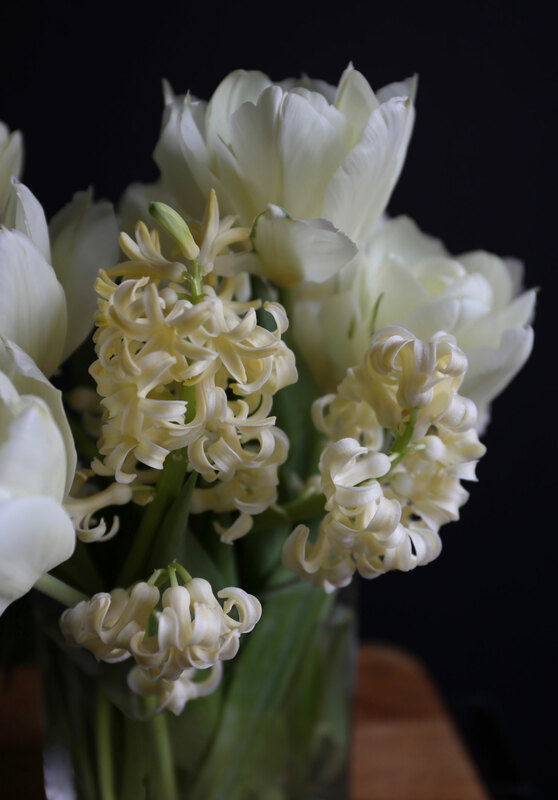 One of the best ways to appreciate the fragrance of hyacinths is to bring them into your home as cut flowers. Here are a couple options. If you want the bulbs to bloom again next year, cut only the stem and leave all the leaves behind. 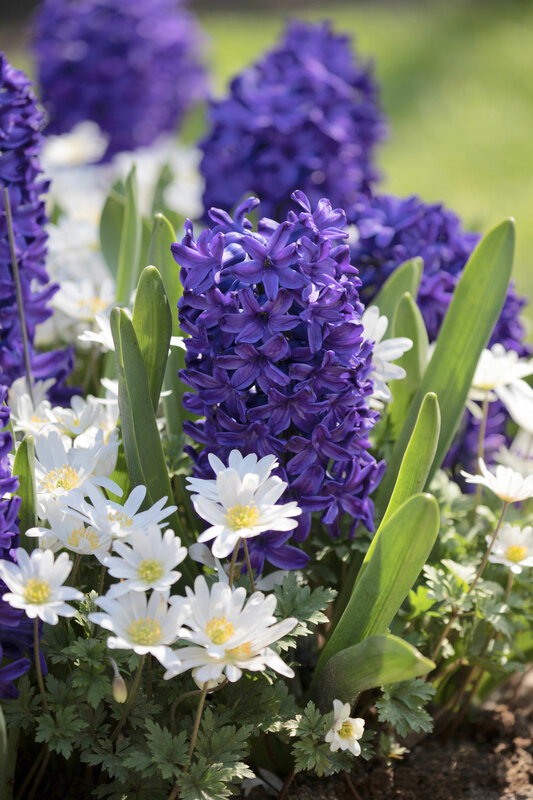 If you are treating your bulbs as annuals, pull up the entire plant, bulb and all. Then you can display just the flower and its stem, the flower plus some foliage, or the entire plant with the bulb still attached. 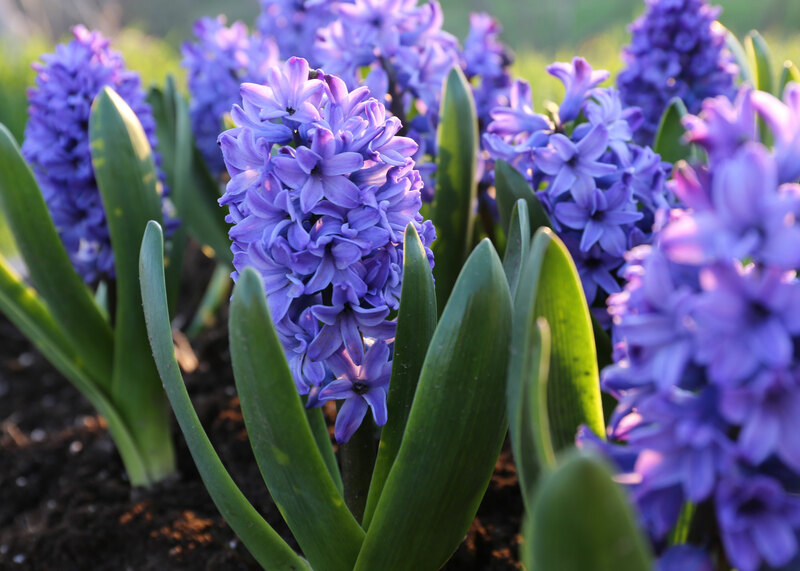 Hyacinths are also very good bulbs for forcing. That’s one reason there are always lots of them at flower shows. In late fall, I usually plant at least a dozen bulbs in pots that get stored in my basement refrigerator. Just fill a shallow container with several inches of soil and position the bulbs-by-side so they are almost touching. Cover them with a few more inches of soil and water well. Learn about the process of forcing HERE. My love for hyacinths knows no bounds. In late winter, you’ll find me buying them as potted bulbs from the local garden center. When I see bundles of them as cut flowers, I buy those, too. But my heart really sings when they are blooming in my garden. Blue sky above and the fragrance of hyacinths below. Ah, spring! 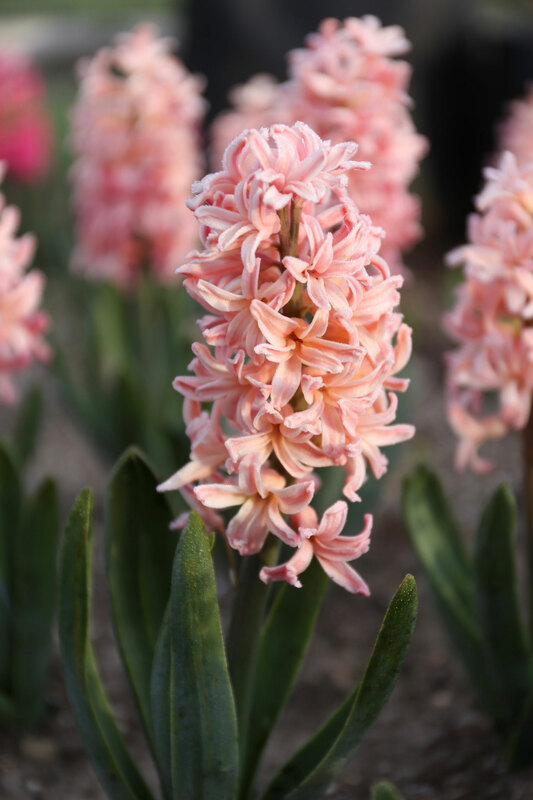 Hyacinth bulbs may be planted any time from September through November. 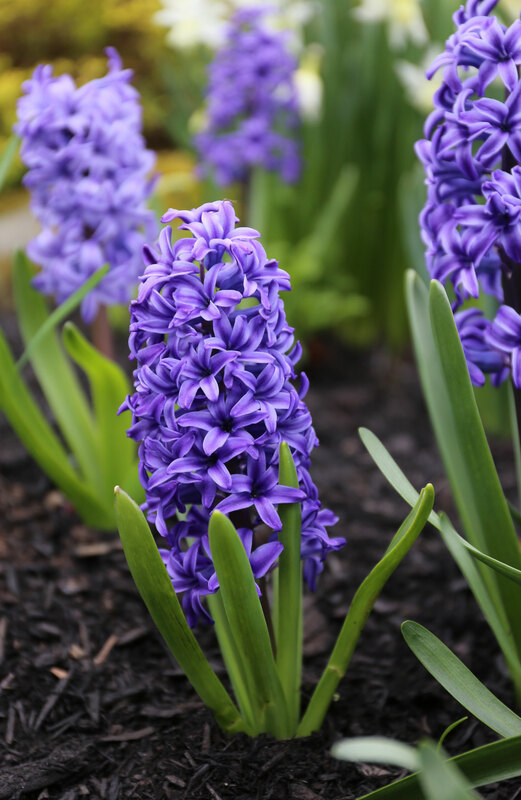 Shop for bulbs HERE and read All About Hyacinths to learn more about growing them.